Put all ingredients in food processor & blend until smooth. 3/4 lb whole wheat pasta – I use penne or twist. Saute garlic & mushrooms in oil. 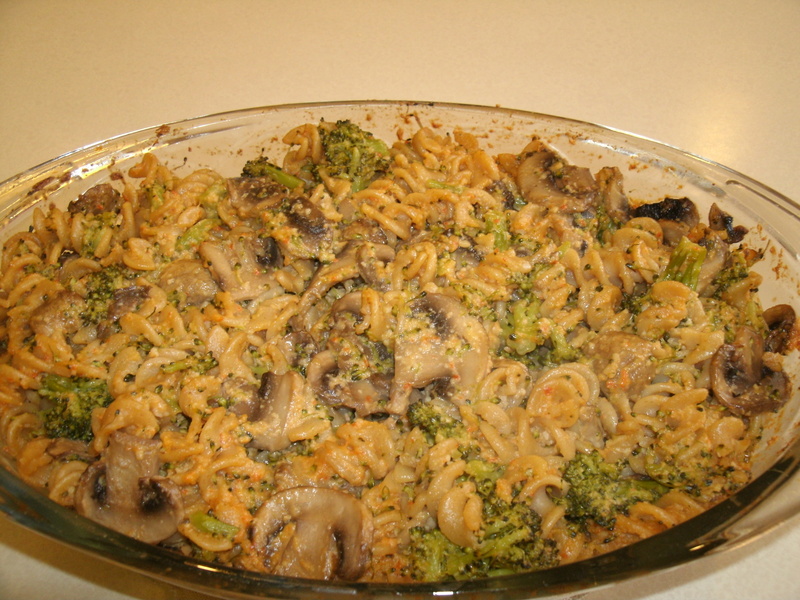 Combine pasta, broccoli, mushrooms, and cheese sauce. Add salt, pepper, & onion powder to taste. Bake at 350 for 30 minutes.